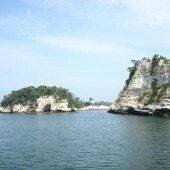 The special scenic site of Matsushima includes Shiogama City, as well as the towns of Shichigahama, Matsushima, Rifu and Naruse. It covers a total area of 97.18 square kilometeres, and the length of its coastline is about 33 km. More than 230 large and small islands appear to float on the sea in this area. “Impressive view from Tamon mountain”, “Magnificent view from Otaka forest”, “Beautiful view from Toyama” and “Great view from Ougi valley” are known as The Four Grand Views and they are subject to tasteful changes according to the season. 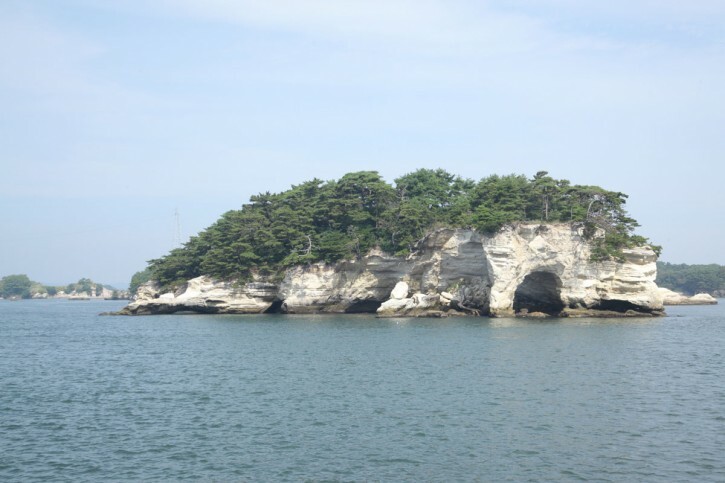 Matsushima is one of the three most scenic spots in Japan. Designated on November 22, 27th year of Showa (1952).